We will walk with you for 3 weeks and help you take stock of your marriage, improve communication, and deepen your unity. Each week will include information and worksheets for you and your spouse. Make sure to tag every post with #catholicmarriage #messyfamilyproject so your witness to marriage will spread and reach more people. We all can strengthen marriages. 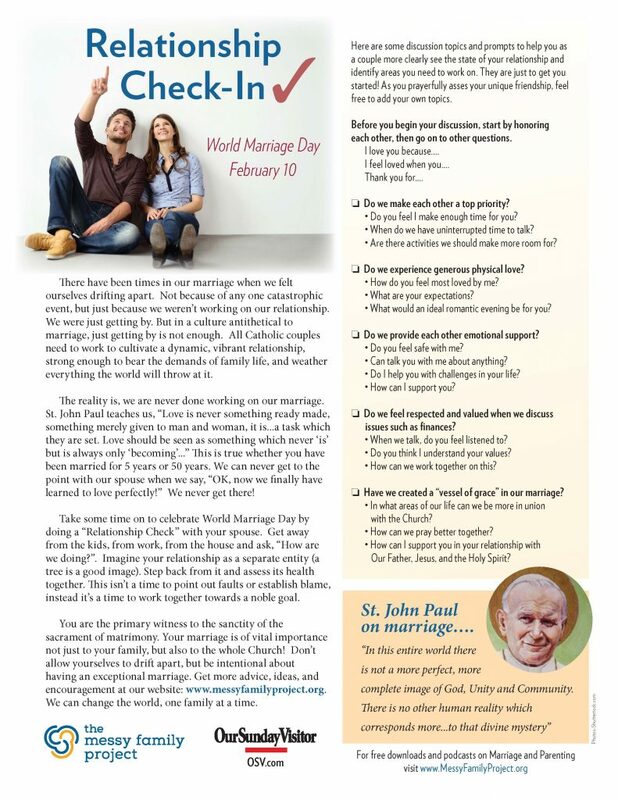 St. John Paul on marriage….